WASHINGTON/FRANKFURT (Reuters) -- Daimler said it would recall 840,000 U.S. vehicles with Takata airbag inflators that could be defective, a step that would result in a charge of 340 million euros ($383.96 million). Daimler said it had decided to recall about 705,000 Mercedes-Benz cars and about 136,000 Daimler vans. Cars being recalled include the SLK roadster, C-class and E-class sedans, M and GL-class SUVs as well as the R class and SLS coupe made between 2005 and 2014. Daimler said it was unaware of airbag failures in its vehicles, and that the numbers of vehicles involved in the recall could fall once further technical studies had been carried out by National Highway Traffic Safety Administration in the U.S.
Last month, Takata Corp., said it was declaring 5.1 million additional inflators defective after new testing and following the death of a driver in December in a 2006 Ford Ranger after an airbag rupture. Takata's inflators can explode with too much force and spray metal shrapnel into vehicle passenger compartments. They are linked to at least 10 deaths worldwide and more than 100 U.S. injuries. To date, 14 automakers have recalled about 24 million U.S. vehicles involving about 28 million Takata airbag inflators. Takata said other automakers involved in the most recent expansion include Honda Motor, Volkswagen Group and its Audi unit, and Mazda Motor Co. American Honda Motor Co., BMW and Saab. Honda has recalled 2.23 million U.S. vehicles in the most recent Takata expansion. Ford has recalled 361,000 Ranger trucks and Mazda called back nearly 20,000 2004-2006 B-Series trucks. 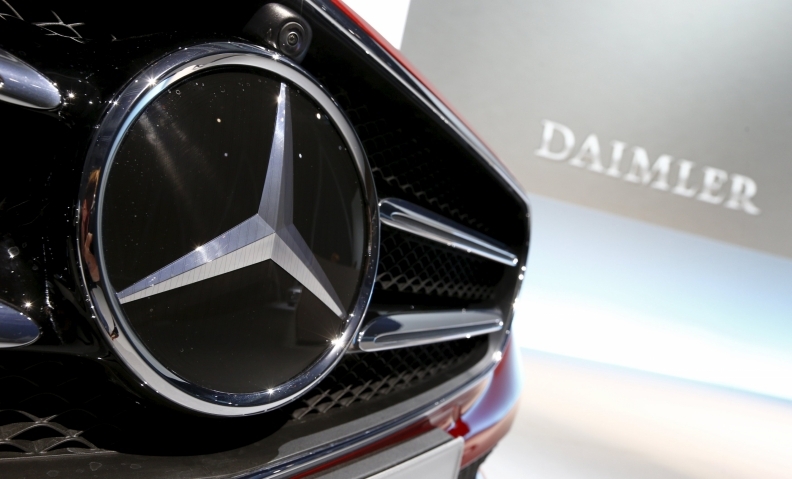 Daimler said it will account for the cost in its 2015 financial year results. It said full-year net profit will decrease to 8.7 billion euros, and group earnings before interest and tax will be 13.2 billion euros. "This [340 million euros] is quite a big shortfall but the main message is that the current financial year will not be affected," said Frankfurt-based Bankhaus Metzler analyst Juergen Pieper. In December, the NHTSA named a former Justice Department official as a monitor to help regulators oversee one of the biggest and most complex safety recalls in U.S. automotive history. U.S. regulators fined Takata $70 million in November. The supplier faces an ongoing U.S. Justice Department investigation.